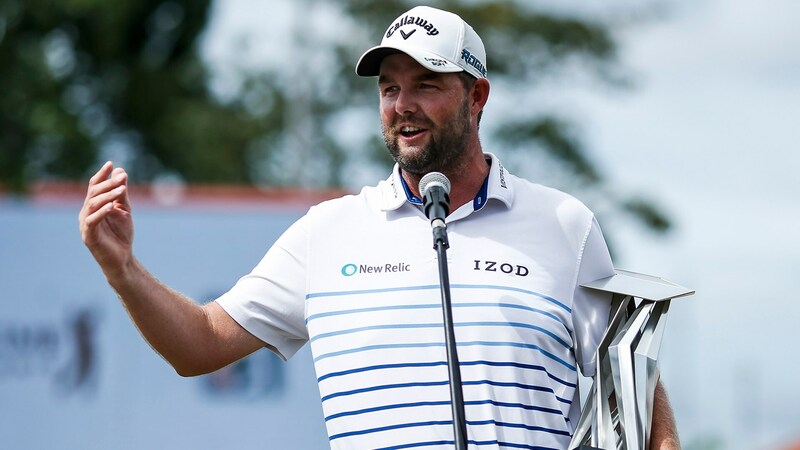 It took Marc Leishman a little over an hour to turn a three-man race into a runaway victory at the CIMB Classic. Leishman started the final round in Kuala Lumpur tied for the lead with Shubankhar Sharma and Gary Woodland, with a chase pack close behind. But after birdies on four of his first five holes, the Aussie left the field in his dust en route to a closing 65 and his fourth career PGA Tour win. Now with three trophies on his mantle since March 2017, Leishman is no stranger to winning on the big stage. But the past year included a pair of close calls, first a playoff loss to Justin Thomas at the CJ Cup in South Korea where the Tour will head next week. The more delineating defeat, though, came at the AT&T Byron Nelson in May. That’s where Leishman appeared in command throughout the week on a new layout, only to watch Aaron Wise cruise past him down the stretch. It was a bittersweet result, and one that sparked a drop in his world-class form; over his next 11 starts, Leishman didn’t finish better than a tie for 13th. But given the opportunity to start a new chapter with another wraparound season, he took full advantage and erased any recent sense of disappointment with a five-shot win that matched the tournament’s 72-hole scoring record. Perhaps moreso than most players on Tour, Leishman understands perspective in good times and bad. It was only three years ago that his wife, Audrey, nearly died from toxic shock. It was a scare that caused Leishman to miss the Masters and gave him a new outlook on birdies and bogeys that he still retains. Leishman’s spot in the winner’s circle didn’t come as a surprise, although the margin of victory may have turned some heads given how things stood after 54 holes. But Sunday’s finale in steamy Malaysia served as another example that the Aussie can hang on any course in the world – and can separate from even an elite field when things start to click.